PRIMaRE to focus on technical and interdisciplinary research, and environmental issues. A consortium of marine experts from across higher education, research and industry has identified the research priorities and development needs required to speed up the progress of marine renewable energy technologies. The Partnership for Research in Marine Renewable Energy (PRIMaRE) has said it will focus its collaborative work on three strategic areas, covering technical research, interdisciplinary research, and environmental priorities. Of particular interest is the need to study the impact of marine renewable energy technologies on the environment and local communities. 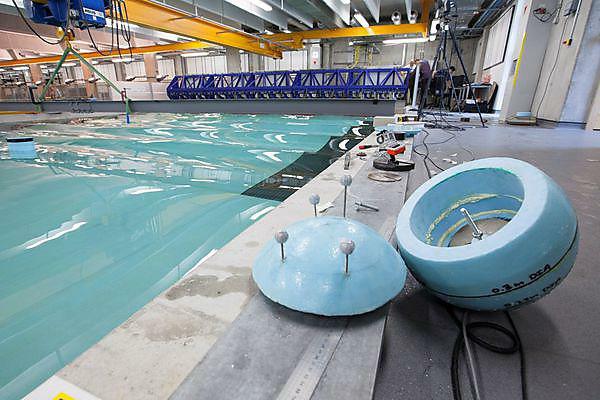 PRIMaRE – the Universities of Plymouth, Exeter, Southampton, Bristol and Bath, along with the Marine Biological Association of the UK, Plymouth Marine Laboratory, the South West Marine Energy Park, and Wave Hub – is working to establish a ‘centre of excellence’ for the south of the country. It agreed the priorities following a consultation process with all sectors of the marine renewable energy community. The first of those priorities is technical research, which covers a multitude of different topics, from the need to develop better materials that are resistant to corrosion and biofouling and components that offer greater reliability, to better understanding the stress placed upon devices when they are deployed and subjected to a wide range of conditions, many of them extreme. It also looks at issues of efficiency, cost and safety. The second priority, interdisciplinary research, includes areas such as planning and governance of the seas and coastal regions, and the impacts and implications of marine energy technology for both the environment and the wider socioeconomic landscape. And under environment research, the consortium will look at areas such as the impact of marine renewable technologies upon the seabed and other structures, and upon marine life, whether through risks of entanglements and entrapment, the transportation of invasive species, or providing new habitats, such as an ‘artificial reef’.